While the work of a major newspaper - such as The New York Times adding people to its obituary pages that were overlooked for their gender or race - or a city museum - such as in Nantes - is beyond the reach of many of us, many stories can be told by a visit to the local library. The Creating a Healthier Niagara Falls Collaborative -- worried about the contrast between the magnificence of the Falls and the empty stores on its Main Street -- went to the library to get historic photographs. 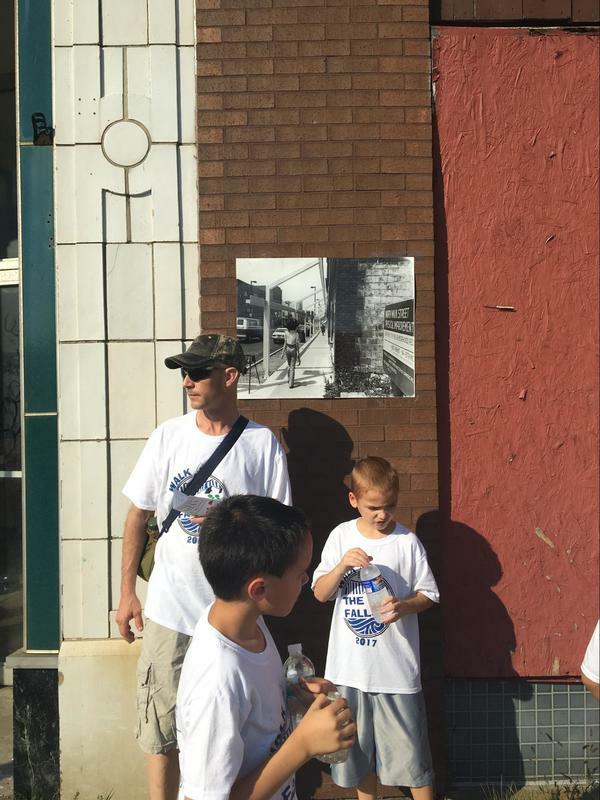 They posted the photos all along the street, and then invited residents to “Walk to the Falls,” passing the empty stores decorated with photos of better times. 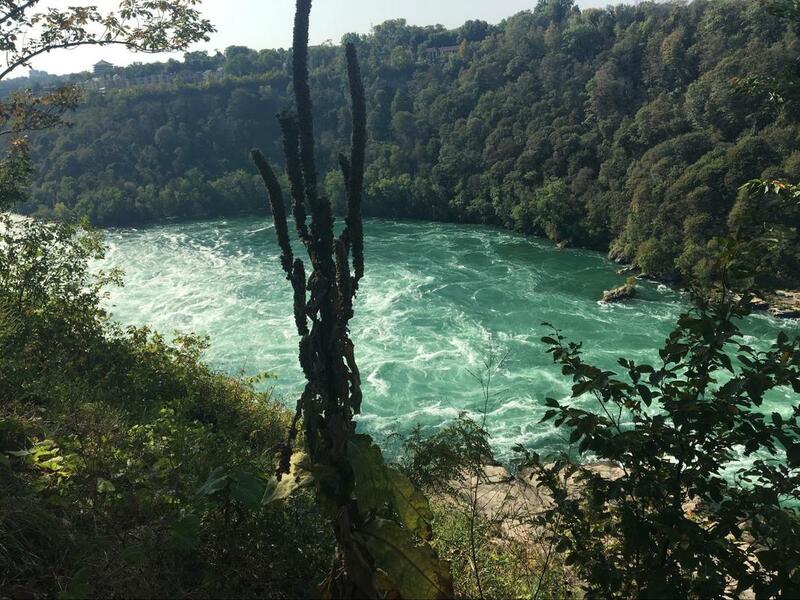 The Walk ended at Whirlpool State Park, the fabulous beauty of the natural site contrasting with the disinvestment in the city. This simple comparison provoked powerful conversations that are continuing to energize the city. Like the citizens of Niagara Falls, we are all suffering from the legacy of slavery. The struggle against inequality is a long one. The upwelling of our local stories, as we remember Jamestown, is a very powerful way to move the struggle forward. Family pausing in front of one of the photos of Main Street, back in the day. Walk to Falls ended with a picnic at the beautiful and under-appreciated Whirlpool State Park.